SOUTHFIELD — Take a peek at how virtual reality and augmented reality can work in the architecture, engineering, and construction community in a meeting of the Virtual Reality – Augmented Reality Association (VRARA) Detroit Chapter and the American Institute of Architects (AIA) Detroit Technology in Architectural Practice Committee Tuesday, Nov. 27. The event runs from 5:30 to 8 p.m. in the University Technology and Learning Center Gallery at Lawrence Technological University, 21000 W. 10 Mile Road in Southfield. The event is presented in partnership the Detroit-area Building Information Modeling (BIM) User Group. “Bridging the Gap Between the Intangible and the Built Environment” begins with registration and networking at 5:30 p.m. Pizza and soft drinks will be provided. The event is free for current VRARA and AIA members and LTU students and faculty. Tickets for other guests are $15. For more information or to register, visit this link: https://www.eventbrite.com/e/vrara-detroit-vr-ar-in-aec-wsg-ghafari-tickets-51984623408. At 6 p.m., the event begins with a welcome from Karl Daubmann, dean of the College of Architecture and Design at LTU, and Mark Brucki, LTU’s executive director of corporate and community partnerships. Brucki will also offer information on the new Centrepolis Accelerator on LTU’s campus. The accelerator is a joint effort of the university and the city of Southfield to boost advanced manufacturing and hardware startups. It will include coworking space and a product design lab when it opens in 2019. A brief presentation on VRARA, AIA and BIM will follow. 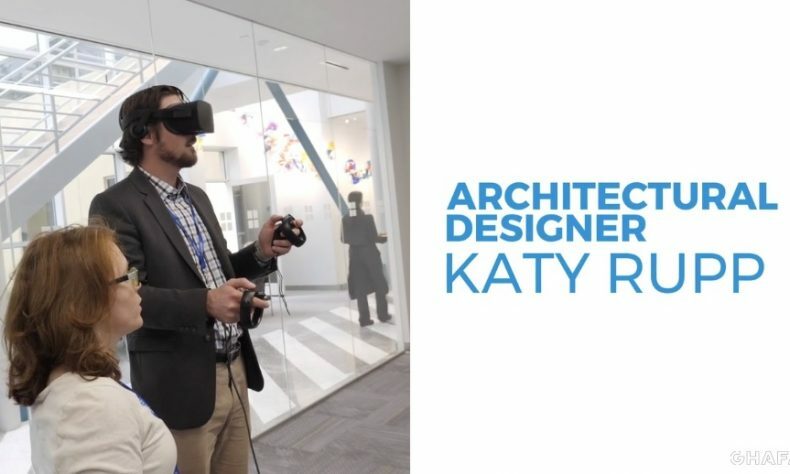 Then, Katy Rupp, architectural designer at Ghafari Associates LLC in Dearborn, will present the keynote on the use of AR and VR technologies in architecture and engineering. Rupp leads internal VR training at Ghafari, and has demonstrated these technologies at a variety of industry forums. Rupp earned a Bachelor of Science in Architecture from Lawrence Tech in 2009 and a Master of Architecture from Boston Architectural College in 2012. She joined Ghafari in 2014 and has worked in the healthcare, automotive, hospitality, commercial, residential, and education sectors. Following the keynote, attendees will have the chance to experience VR and AR technologies firsthand.